Some days you just need a good cry.. The last two days have been emotional ones. really emotional ones. The kids and I went for a nice long walk this morning to clear my head. Ty came home with a couple pockets full of rocks. When we get rocks....we have to paint them. 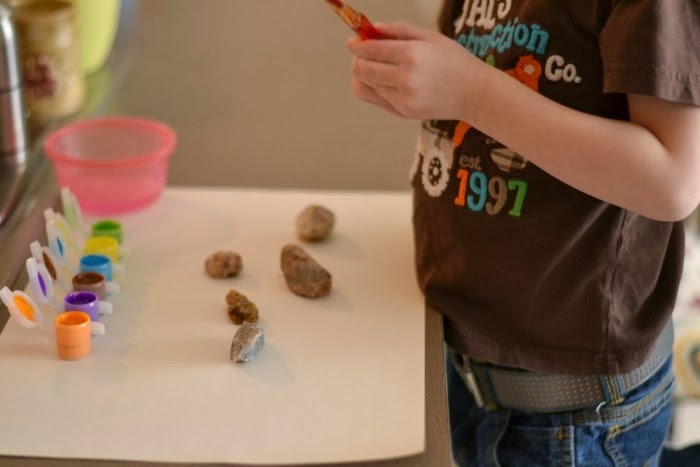 These rocks Ty says are for Jenna.. (my bf//his girlfriend lol). It was just before lunch when we got back and I had about twenty minutes to figure out what to make for lunch before Jayson got home. Its not hard to decide when you have three ingredients in your fridge. 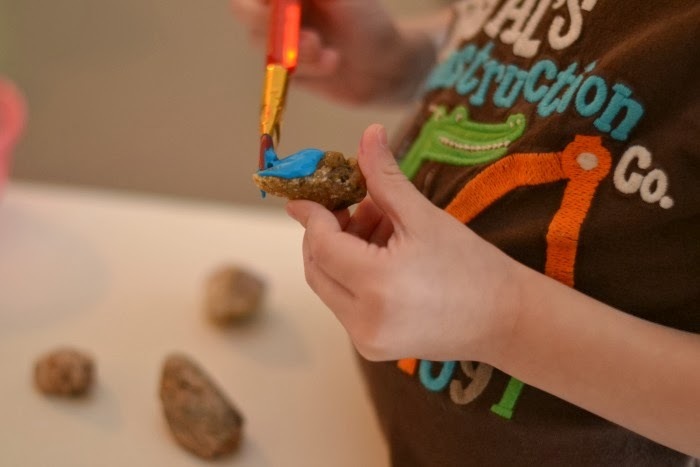 So while I whipped up some ramen and toast the kids got to paint their new rocks. They were in heaven and I enjoyed a few minutes of peace while getting lunch together. Soon Jayson came home and knew just what to say to make me smile. some days//most days I really miss my family. some days you just gotta have a good cry, paint some rocks and know it will all be ok.